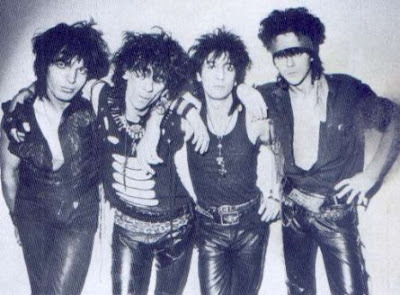 This week, we turned our magnifying glass on punk/glam rock hybrid The Lords Of The New Church. They could be called a punk supergroup but they didn't stay punk... they merged genres not often associated with the punk sound to create an almost gothic rock appeal. Sure, Madonna changes her sound every album and we have expectations that she'll continue to do so. But there is something about seeing 4 guys leave a similar discipline and create a new template. Expect to hear a retrospective mix, classics ("Open Your Eyes" and "Dance With Me") and the live track "Apocolypso." Sometimes struggles are worth it. Martin fought with the mic before the show (and won... it seems) as the recording was probably the clearest it has been since purchasing that item. Everything went really well and things are hopping. We are also closing in on episode #200. No idea what will come but you either go big or you go home.